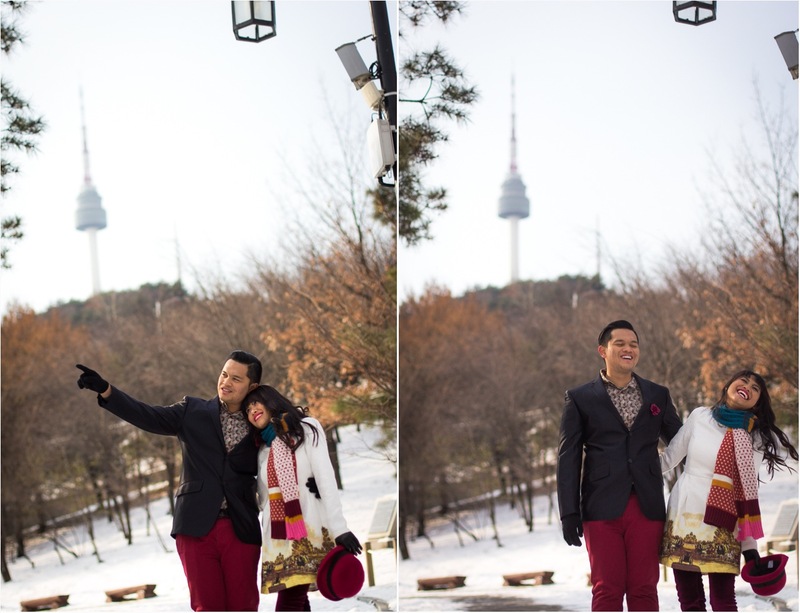 Rasyidah wanted to take romantic winter engagement pictures in Korea. Well, I guess I can’t call them engagement pictures because she’s already married to her talented musician husband, Firwan.I suggested some dates that might have a higher probability of snow, and we both crossed our fingers for snow. The day before her engagement, there was not a hint of snow and the weather forecast was showing as cloudy. We both woke up the next day and were pleasantly surprised to find that it had snowed and was still snowing! Her engagement pictures basically turned into a dream come true for the both of us – she was able to get the wintery pictures that she had envisioned, and I was able to add winter engagement pictures to my portfolio! 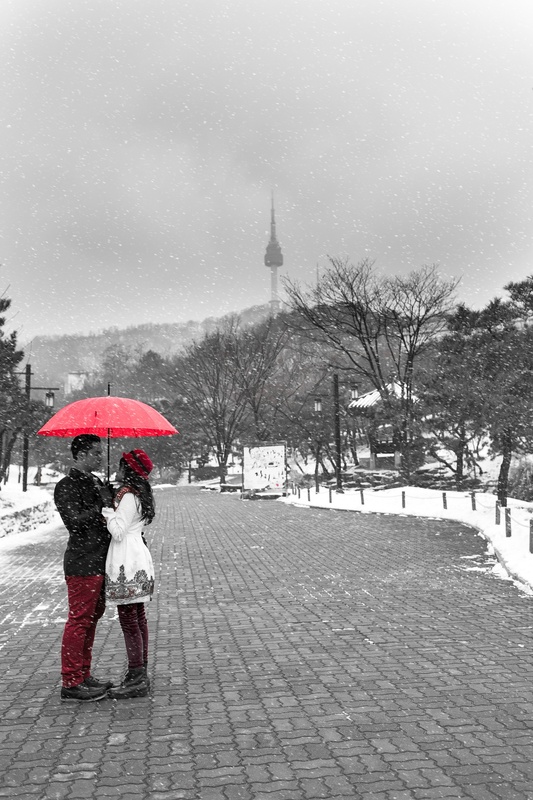 Credit to Rasyidah for thinking of some great engagement picture ideas (she suggested the picnic blanket and red umbrella prop). These pictures were taken at Namsgol Hanok Village and are part 1 from their photo session. Part 2 was at a cute little cafe called “Myool” in Hongdae. You can view that post here.